The High Court has ruled that a sum of almost €300,000 given by a woman to a couple who were formerly her friends was a loan, not a gift. Fidelma Kerrigan, 59, (pictured below) - known as Della - from Ballyshannon in Co Donegal gave the money to her friends, John and Jacqueline Keenaghan, in August 2010. RTÉ reports that the money was part of a sum of €750,000 given to Ms Kerrigan in compensation for injuries she suffered in a road accident in which her father died in 2002. Two weeks after she received the cheque, Ms Kerrigan handed over €280,000 to the Keenaghans, who were in serious financial trouble. Della Kerrigan gave the couple money when they were in financial trouble. Ms Justice Deirdre Murphy ruled the money was a loan with no specified repayment date. She said Ms Keenaghan had become greedy and sought a sum vastly in excess of what the family owed. And she said if the Keenaghans had made any effort to begin repaying the money after Ms Kerrigan's requests for repayment in 2013 and 2014, it was likely the matter would never have come to court. The judge said the Keenaghans had chosen to deny their debt instead of acknowledging it and this was an "enormous breach of trust". She said even if she had found the money was a gift she would set it aside as an "improvident transaction" from which the Keenaghans had been unjustly enriched. The couple claimed the money was a gift which came completely "out of the blue". It was used to discharge the couple's debts of €190,000, to finance their children's education and to allow the couple to train as counsellors and psychotherapists. Mr Keenaghan was an architect whose business ran into serious problems following the financial crash. 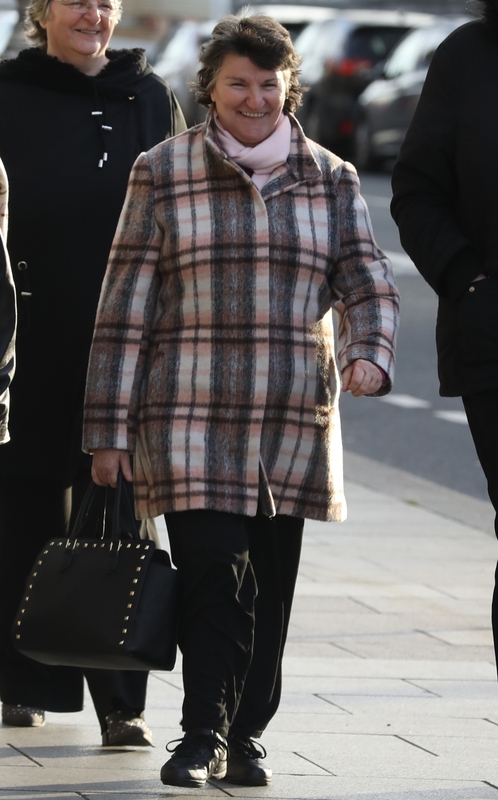 Ms Kerrigan alleged that she gave the Keenaghans the money to help them set up a counselling business, or until Mr Keenaghan had completed various projects. She claimed Ms Keenaghan was crying and saying she feared losing her home and being unable to feed her children. She said that Ms Keenaghan told her that if she was willing to help her in her hour of need, she would pay back every penny. A psychiatrist told the court that at the time Ms Kerrigan was suffering the effects of a brain injury she had suffered during the 2002 accident, had developed a major depressive disorder due to her father's death, and was on anti-depressant medication and was frail, mentally and physically. The Keenaghans' business has been set up since 2012 but they have not repaid any money, the court heard.